3.5x6 Customized announcement calendar magnets 20 Mil round corners are ideal for all those people who have made up their mind to share it with others. 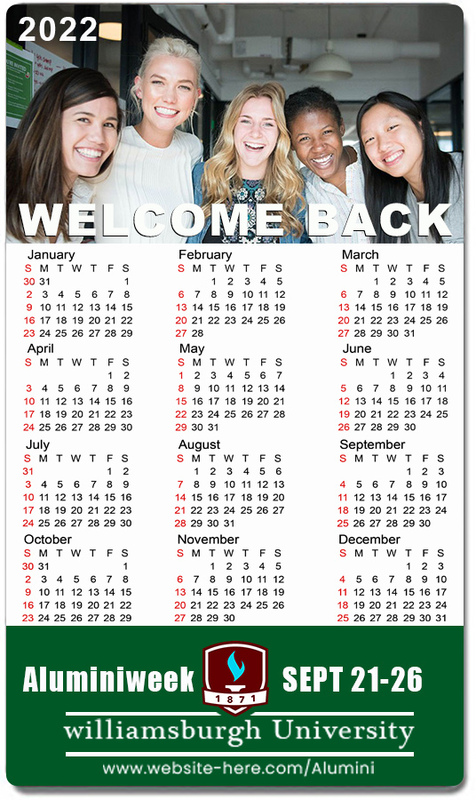 These custom printed magnets will attract attention due to personalization and calendar. You can customize them with your favorite images as well as contact details apart from the message. People will literally count each date to your event by seeing these custom printed announcement magnets sMiling at them from refrigerator doors or work cabinets. If you are ready to make the big announcement, order these personalized calendar magnets today. Request a quote to know what you may save on bulk orders of these 3.5x6 Customized announcement calendar magnets 20 Mil round corners.